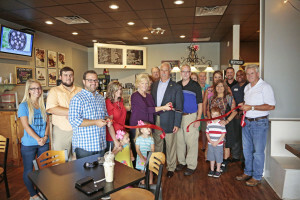 The Florence Chamber held a ribbon cutting ceremony Thursday morning for one of its newest members, Cast Iron Waffles. The ceremony not only officially welcomed Cast Iron into the Chamber family, but also celebrated the one year anniversary of the business. 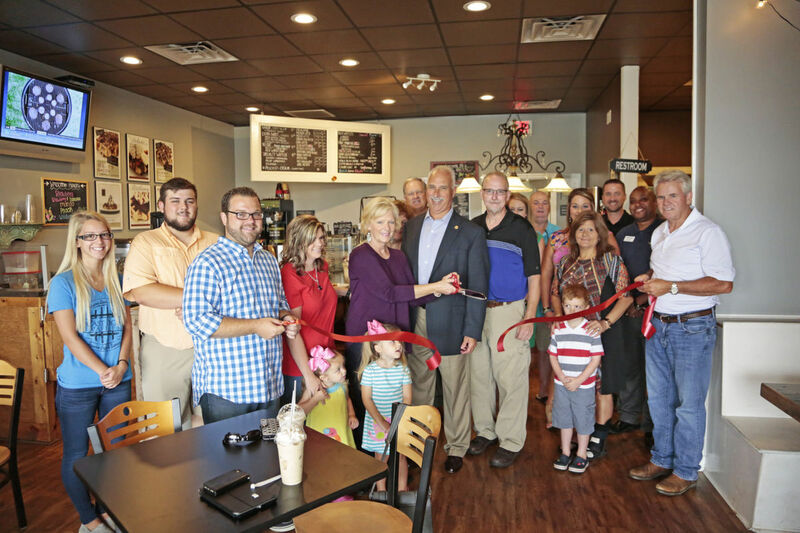 Cast Iron Waffles is located at 2151 W. Evans St. in Florence and is open from 7 am to 6 pm. “On his way to membership in multiple halls of fame, teaching professional Grant Bennett turned Florence Country Club into the Mecca of junior golf in the 1950s and ’60s. No facility could match the parade of champions who learned the game there and piled up records to envy. South Carolina’s golf community knows the names: U.S. junior champion Buddy Baker, Billy Womack, Jack Lewis Jr. and Randy and Russell Glover, to name a few. All these years later, thanks to efforts by Ben Zeigler and John Orr, Florence CC is striving to regain its lofty station in junior golf. The combination of head pro Steve Behr and teaching pro Paul Woodbury, along with the membership’s backing, the club’s program for youngsters is flourishing. The rejuvenated Grant Bennett Florence Junior Invitational tournament represents the cherry atop the banana split. The combination of focusing on the Bennett legacy and the South Carolina Junior Golf Association’s taking over the operation makes the tournament a must-play on the top juniors’ calendars. Overwhelming demand forced SCJGA head Chris Miller to turn down 49 entries for this year’s event. Before the state organization became involved four years ago, the tournament struggled to attract a quality field. Upon a recommendation from Fort Jackson GC and SCGA board member Jeff Connell, Zeigler came to Lathrop for direction. Told the SCGA’s involvement would require raising funds, Zeigler replied, “That won’t be a problem,” and the tournament netted more than $30,000 the first year. This year’s program contains a lengthy list of sponsors – both corporate and individuals such as PGA Tour pro Tommy Gainey and wife Erin. The tournament honored Columbian Bobby Foster, the 1963 champion, this year. He followed Baker, Randy Glover and Lewis to be saluted for their successes. He found the practice tee full of players with dreams of following Foster or Lewis or even U.S. Open champions Dustin Johnson and Lucas Glover, the latter’s credentials include winning the 1994 Grant Bennett Florence Junior Invitational. From the South Carolina Chamber of Commerce: State Chamber President Ted Pitts released an Action Alert to Chamber members urging them to contact their labor attorneys to discuss the new Department of Labor Persuader Rule before July 1, 2016. The proposed Department of Labor rule would impact businesses’ client-attorney privilege and would also potentially change how businesses defend themselves in union situations. Many in the business community are concerned that the rule could most negatively impact small businesses who do not have in-house legal departments to turn to for advice on labor relations issues. Well-known national brands and small companies affected. 1. Secure sensitive customer, employee or patient data. Store paper files and removable storage devices (such as thumb drives and CDs) containing sensitive information in a locked drawer, cabinet, safe or other secure container when not in use. Restrict access to sensitive data to those who have a need to know. Give employees access to only the information they need to do their jobs – whether it’s online or in paper form. 2. Properly dispose of sensitive data. Shred documents containing sensitive data prior to recycling. Remove all data from computers and electronic storage devices before disposing of them. Password protect your business computers – including laptops and smartphones – and access to your network and accounts. Require employees to have a unique user name and a strong password that is changed at least quarterly. 4. Control physical access to your business computers. Create user accounts for each employee to prevent unauthorized use of your business computers. Laptops can be easy targets; make sure they’re locked in place when unattended. Also limit network access on computer stations located in public spaces, such as the reception area. Encryption helps protect the security and privacy of files as they are transmitted or while on the computer. Install encryption on all laptops, mobile devices, flash drives and backup tapes, and encrypt emails that contain sensitive information. 6. Protect against viruses and malicious code (“malware”). Install and use antivirus and antispyware software on all of your business computers. Don’t open email attachments or other downloads unless you’re sure they’re from a trusted source. 7. Keep your software and operating systems up to date. Install updates to security, web browser, operating system and antivirus software as soon as they become available. They contain “patches” that address security vulnerabilities within the software and are your first line of defense against online threats. 8. Secure access to your network. A firewall prevents outsiders from accessing data on your network. Enable your operating system’s firewall or purchase reputable firewall software. Be careful with free security software as it may actually contain “scareware” that can infect your network. Allow remote access to your network only through a secure manner such as a properly configured Virtual Private Network (VPN). If you have a Wi-Fi network for your workplace, make sure it is secure, encrypted and hidden so that its network name or “Service Set Identifier” (SSID) can’t be picked up by the public. Also be sure a password is required for access. 9. Verify the security controls of third parties. Before working with third parties that have access to your data or computer systems or manage your security functions, be sure their data protection practices meet your minimum requirements and that you have the right to audit them. Not only do you want to ensure that your customer and business data is secure, but if a breach occurs on their watch, you could still be held liable and may be required to take all the necessary steps toward recovery – including notifying customers, monitoring credit, paying penalties or fines, etc. Last but not least, make sure your employees understand your data protection practices and their importance. Document your policies and practices and distribute them to your team. Review your practices regularly and update them as required. Be sure to retrain your staff as updates are made. 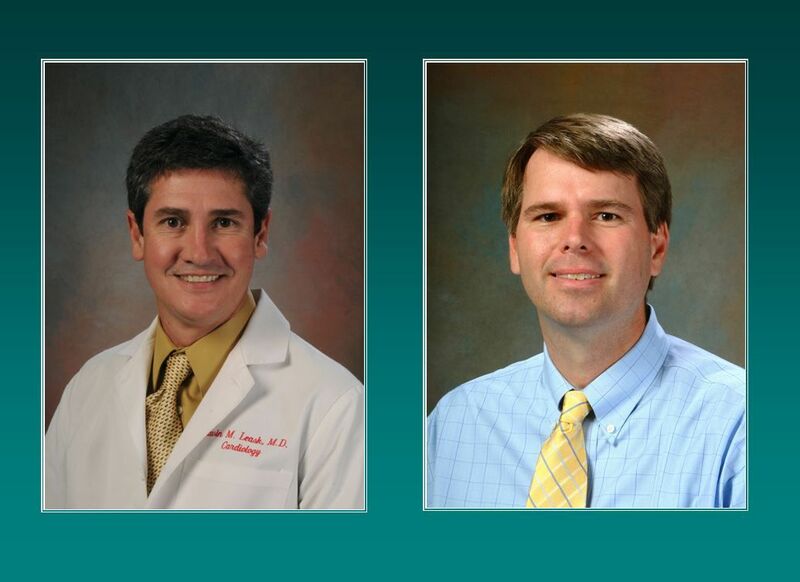 The Chamber wants to congratulate McLeod Health and Dr. James C. H. Smith, a McLeod Oncologist, and Dr. Gavin Leask, a McLeod Cardiologist, as well as several other McLeod physicians. The hospital and several doctors were recently recognized as Top Performers for Overall Quality of Physician Care by national healthcare research leader, Professional Research Consultants. Congrats to these members of our community who make the Florence region a safer and healthier place to call home! Maybe you use Pinterest for business: for social media marketing, as a way to build greater product awareness, and to help build your brand. And maybe you use Pinterest to increase sales, generate more revenue, and make more money for your business. Or maybe you think Twitter is sufficient. Twitter should be a key component in your social media marketing strategy… butPinterest drives significantly more content to publishers than Twitter. So if you’re not using Pinterest for business, you should be. Yet you also might not be particularly excited by the thought of adding another social network to your social media marketing duties. Fortunately that’s a problem the folks at Buffer tackled with their Buffer for Pinterest integration. (Buffer’s tool lets you schedule, analyze, and share pins — in short, think Buffer for Pinterest.) So Inc Magazine asked Buffer co-founder Leo Widrich for practical ways to use Pinterest for business. The most important new feature now available for Pinterest is that you can schedule all your Pinterest pins with Buffer from one dashboard. As with Buffer for Twitter, now you can schedule pins to post consistently throughout the day. You can share content to Pinterest from the Buffer dashboard or from the Buffer browser extensions for Chrome, Firefox, and Safari. 2. Take advantage of smart weekly posting strategies. When it comes to timing, there’s not a bad day to post on Pinterest. But different topics definitely perform at varying levels on different days of the week. Additionally, a bit.ly study found that Saturday is a great overall day for pinning.Maybe that’s when users have extra time for projects, or just for dreaming. 3. Measure the performance of your pins. Another most important feature for all businesses is the ability to effectively measure how well you’re doing on Pinterest. Buffer’s Pinterest integration lets you measure the performance of your pins to understand how your audience is growing and how your followers are engaging with your content. You can also filter, export, and sort your data so you can make smarter decisions with your social media campaigns. 4. Take advantage of smart posting frequency strategies. Ahalogy says its clients have seen the best results when they pin 15 to 30 items per day, with pins spread throughout the day. Our best advice? Pin as much quality content as you have time for. You’re unlikely to overwhelm your followers thanks to the Pinterest Smart Feed algorithm, and each pin is a chance to grow your exposure and audience. 5. Manage all your social media accounts from one dashboard. Pinterest now lets marketers connect all their social accounts, including Pinterest, to their Buffer dashboard so they can post everywhere from one tool. Save time by connecting as many Pinterest accounts as you like and you can easily publish content to Twitter, Facebook, Google+, and LinkedIn as well. 6. Schedule pins directly from Pinterest.com. With most of the sharing buttons all over the web, it’s important for business to be able to schedule their pins not just from a dashboard, but from wherever they are. 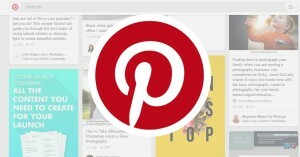 TheBuffer browser extension makes it easy to schedule anything on Pinterest.com directly as a repin to your boards. 7. 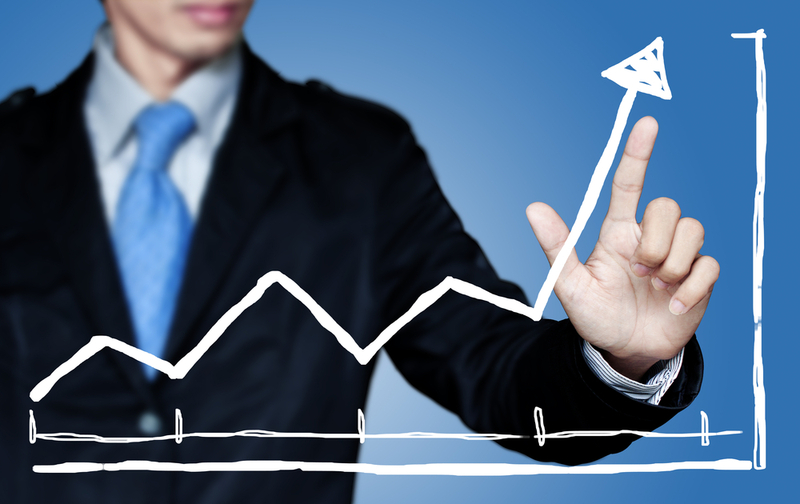 Take advantage of smart hourly timing strategies. With so many different audiences and categories of content, Pinterest provides an interesting challenge when it comes to pinning down (ahem) the best times of day to post. According to a study of nearly 10 million pins by Digitas and Curalate, the best times to pin vary by topic/industry. Ahalogy found that between 8 p.m. E T and midnight any day is peak time for pinningrecipes about chocolate, and discovered that food brands could see the highest repin potential at 8 a.m. and the highest traffic potential from 10 to 11 p.m.
8. Schedule any image you find on the web to Pinterest. Now you can also schedule any image you find on the way directly as a pin for your Pinterest account. 9. Create a consistent sharing experience. Like with other social media networks, a consistent sharing strategy is important on Pinterest to build your following. Most marketing experts agree that spreading your pins throughout the day is a handy thing to do. Varying your timing exposes you to different segments of the Pinterest population and can lead to more exposure, repins, and followers. And with Pinterest’s recent change to a Smart Feed that personalizes what users see in their accounts, you can pin basically anytime, without overwhelming your audience. Don’t forget to register now for this exciting and informative Lunch & Learn opportunity about the Fair Labor Standards Act and the new overtime rule. The program will take place on Wednesday, July 20th from 12-1:30 pm in the Stukes Meeting Room of the Florence County Library and will feature presentations and Q&A with a variety of speakers on the new Fair Labor Standards Act (FLSA.) Lunch will also be included. The cost to attend is $15 for Chamber and YP members, $20 for non-members and $15 for non-profit employees. To register or for more information, click on the link below or call the Chamber at (843) 665-0515. Were you one of the many folks who filled the streets for Florence After Five last week? If so, take a look at this gallery from the Morning News. You never know, they might’ve caught a pic or two of you during all of the fun! 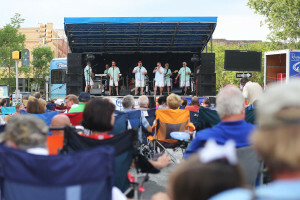 From the Morning News: “Florence After Five is a street party held in downtown Florence the final Friday of each month From April to October. 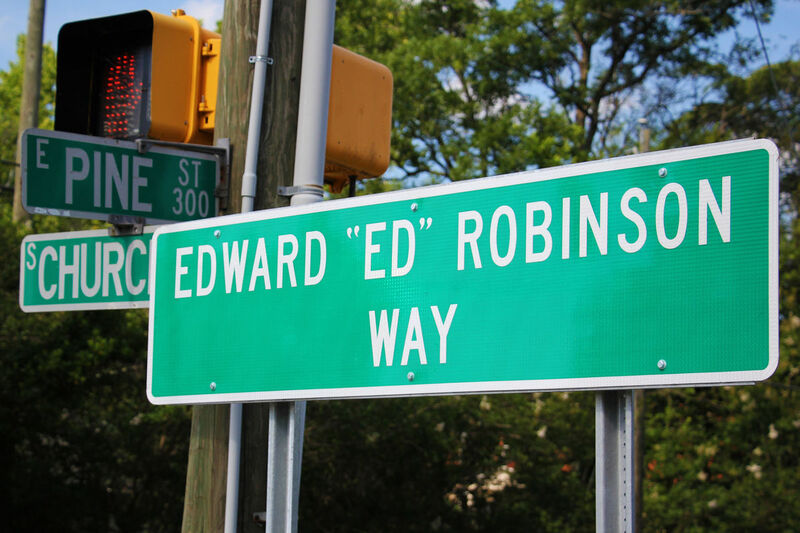 According to the Morning News: “A section of East Pine Street between South Church Street and South Jeffords Street recently was renamed “Ed Robinson Way” after a state resolution was passed to commemorate the city’s longest serving councilman. 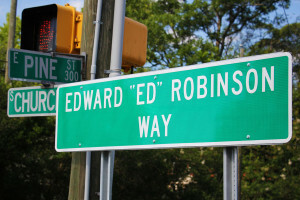 South Carolina Reps. Terry Alexander and Robert Williams co-sponsored a resolution to rename the state roads and hosted a dedication ceremony on Sunday afternoon, along with S.C. Sen. Kent Williams and Cumberland United Methodist Church – the church Robinson attended. https://www.flochamber.com/wp-content/uploads/2016/06/57704e90db589.image_.jpg 800 1200 Trish /wp-content/uploads/2015/11/Web-redesign-300x121.png Trish2016-06-27 12:00:592016-06-27 11:31:38City Renames Portion of East Pine Street, "Ed Robinson Way"
It’s no easy task to reach a broad audience and convince strangers to trust your business. Thanks to technology though, it’s easier than ever. According to Inc Magazine, “Every new customer converted is a battle won for a small business. It’s no easy task to reach a broad audience and convince strangers to trust your business with their money, especially when you lack the established reputation of a larger company. Luckily, there are many growth strategies for small businesses out there, from segmenting your market to diversifying your company’s services, and there is plenty of room for small businesses to succeed, too.